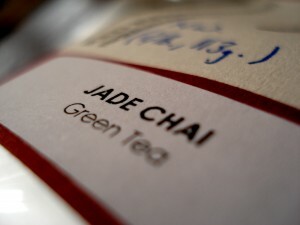 I’m sipping a steaming cup of Jade Chai Green Tea- one of my special finds in San Francisco’s China Town. Thanks to a friend, I spent the better part of an hour sticking my nose into tin after tin of rich, fragrant tea leaves- from Silver Peony (a white tea) to Organic Golden Monkey (a black tea), and then from peppermint rose and chrysanthemum (herbal teas) to oolong, after oolong…after oolong. It was the green tea chai that ended up in my bag (and now in my teacup). For years I’ve been hearing about the health benefits of green tea (naturally caffeine-free, full of anti-oxidants, helps build the immune system…). Despite the ready availability of it in both my mother’s and sister’s cupboards, I just haven’t gotten myself to join the green tea club- until now. I always found it was too bitter- and I tend to prefer my tea like the English, with milk. The chai I found at the Red Blossom Tea Company (where you may taste and learn how to correctly prepare tea, by the way) combines green tea leaves with a plethora of appealing spices, such as cardamon, orange peel and cloves. The jazzy, peppery taste is unique to the other chai teas I’m a fan of. It’s recommended to rinse the tea leaves before infusion (steeping time: about 1 minute, though I usually leave it a little longer to help bring out the spices). This tea can, of course, be prepared with hot water only, but for a special treat I add milk and a touch of honey. 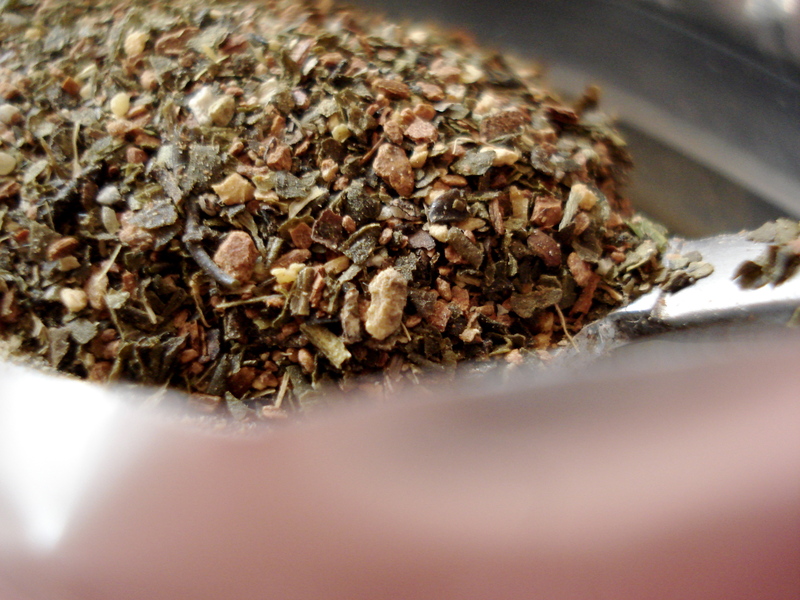 On the Red Blossom website you can also learn more about different teas, including green tea. I liked reading that green tea is only one step away from “a living tea leaf” because, unlike black tea, it is kept from undergoing the oxidation process (known as “fermentation” in the tea industry). In this case, a tea-maker will heat a newly harvested leaf in order to keep its natural enzymes from oxidizing it. Thus, the high concentration of anti-oxidants, I assume? This entry was posted in Recipes (All), Travel outside France and tagged San Francisco, tea. Bookmark the permalink. Glad to see you’ve finally converted to green tea 🙂 Looking forward to enjoying a cup with you soon. Thanks for the nice post!